We’re building an exciting community of blogs and influencers from all over South Africa. In this section you’ll find many of South Africa’s top travel blogs. If you’re looking for something else, maybe one of the blogs and influencers in our community can help. We have curated lists of all our favourite South African lifestyle blogs, food blogs, beauty blogs, fashion blogs, mommy blogs, wedding blogs and auto blogs. You can use the search box to find your favourite travel blog. Blogs you need to follow in 2018” category. A space to be inspired with vlogs, inspirational images and affirmations. It is a platform to change your life by following simple techniques that have been proven to be helpful in many lives. This is a space to learn, share and be part of the Inspired community. The best way to start is by looking around you and noticing the miracles in your life. unusual, with her insatiable curiosity & sense of adventure. Thelifestylehunter.com was founded at the beginning of 2017 by me, Pilar Noriega, former strategy consultant, and passionate traveler. I’ve been able to travel the world with the help of scholarships, job opportunities, and volunteer projects so now I want to share how I did it and encourage you to do it yourself. Food & Drink. Travel. Est 2005. 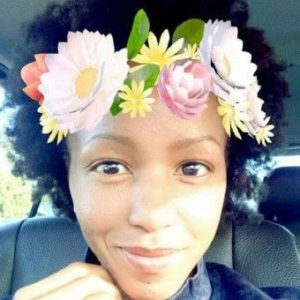 I’m a recent arrival to South Africa and want to challenge peoples’ biases and expectations of Jozi. I established my blog in Melbourne, Australia in 2005 . I’ve written about food and drink for the key daily newspapers in Australia, GQ and some of the glossy magazines. I’ve reviewed for the major guides and now march to the tune of my own drum. I’m fiercely independent in what I write and have Read More built a reputation for calling out influencers who are unethical and don’t disclose vested interests. Inspired Living is an award-winning, South African Lifestyle Blog, created by Fiona Rossiter in 2010. 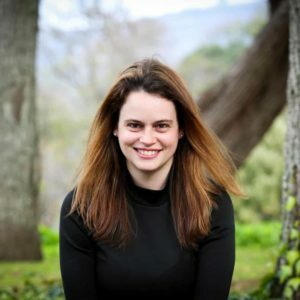 Based in Cape Town, Fiona writes about food, restaurant reviews, wine reviews, travel, decor, DIY, fitness and healthy living. A South African food, travel and lifestyle blog. Exploring all the amazing food and travel destinations in South Africa. Here to let you know about the restaurants I enjoy and the food I love from all over the world. I love trying out new places with different exciting food as well as returning to some of the best places and my personal favourites. Whether it’s fine dining or a Read More simple pub meal, if it’s good food, I want it in my belly! Indeed, that is what this site is all about – travel, food, unique experiences and reviews. My name is Driaan and I am a 30-something South African born hospitality manager and part time travel blogger in the midst of a never-ending love affair with world travel. I spend half my life wowing guests in a luxury hotel and the Read More other half exploring our beautiful planet. I have travelled across 2 continents and in 2018 I will add some islands to the list! Want to know where I am currently exploring and where I am headed next? Justin Hawthorne is a pro mountain guide in South Africa with a keen interest in capturing magic mountain moments along the trail. This portfolio is a collection of mountain tales, trail guides, photography & travel. 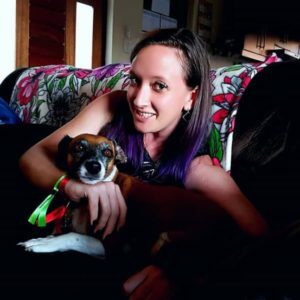 Stephanie Marthinus Blog is a local South African Travel junkie on an adventure mission with her partner, Courtney to visit every town in the Western Cape; a province in SA and, explored 63 towns out of 193. A Joburg based food, travel and lifestyle blog full of reviews, recipes and other things that I love. Branched Out fashion (BAF) is a platform were I share my fashionable side and occasional write lifestyle blogs. I love evolving fashion but I am more for style as it defines who you are thus a bit of style guide posts. BAF also features collaborations with other bloggers, travel and tourism reviews. Toomuchloveliness.com is a Cape Town based blog focusing on local travel, food and wine. Join us for budget weekends away, luxury city escapes, great glasses of wine and the most delicious plates of food! I write about a variety of things but mostly food so you can expect lots of posts about food (including restaurant and product reviews and recipes), travels and the randomness of my life. A hidden gem discoverer who’s all about living the ultimate South African lifestyle. Expect lots of food, road trips and fun! Creator of the Local Travel is Lekker series. rainmaker creates competitive advantages for Hospitality and Tourism businesses in Africa and ensure that more tourism spend is contributing to the destination and its people. Our customers enjoy the perfect combination of a stunning digital presence with significantly extended exposure, seamlessly converting into more bookings and an improved reputation. As a result, our customers gain more Read More occupancy, revenue and profit. This is Namrata Ghate.I am basically a Computer Engineer turned into a food blogger and a true foodie at heart. I am a firm believer that food nurtures your soul, what you eat gets reflected in your personality and behavior. In my blog space called foodiezflavor I love to share my experiments and trials with all the worldwide cuisines.Foodiezflavor in mainly into promoting Indian food with Read More healthy twists and tricks. Each of my recipes is crafted from traditional procedures and reformed to add more nutritious value to it. Tamlyn Amber Wanderlust is a travel- and restaurant- review blog, which highlights my experiences in and around Cape Town and South Africa. Country living in South Africa is about everything Country. How it feels to live in the country, what we do, where we eat and where we go. In short, it’s the lifestyle and the sense of freedom that comes with country living. Being outdoors and really living and enjoying. Some of the specific topics all ready covered on my blog are living on a game ranch, wildlife, birding, raising a spotted Read More hyena, cooking and food, events, places , environmental awareness and a little bit of travel. My blog has started as a food blog documenting all dishes I create for the first time being an amateur cook. I also would like to include places and restaurants that I visit for the first time and my review on these places. Campmore4less facilitate discounted accommodation at +- 50 participating holiday resorts countrywide, ten in the Western Cape. Our “First Day Free” promotion is in full swing and as a charity project we provide guidance and assist full-timers wanting to retire on wheels with our f/b group “Mobile Retirement Lobby Group of South Africa” and provincial f/b groups of which “Aftree op wiele in Read More WesKaap” is just one of nine. We have R100.00 Campmore4less promotional membership vouchers to give away! We release articles about company news, fascinating sightings, our social welfare and conservation support and of course about all the information you need for a world-class birding tour. CometoCapeTown.com is an independent Cape Town travel portal based in the heart of the trendy Cape Town City Centre. We offer a one-stop approach to Cape Town holidays – the latest Cape Town travel tips, guides and inspiration on our blog. CTCT inspires with articles about the hottest events around Cape Town, to help the travellers know the score before you book their holidays. JaredinCPT it the blog of travel writer, influencer and Cape Town based Tour Guide Jared. He has written for Morethanfood, Food24, GQ, Traveller24, CapeTownETC, and his +41k social media following leads him to partner with brands and PR companies highlighting Cape Town, South Africa and some international partners. His focus is on lifestyle-related content, including food, travel, fashion and Read More experiences in Cape Town and South Africa. A Travel Junkie is aimed at perhaps somewhat more mature travel fanatics, mainly over 35’s and “baby boomers”, seeking to experience the sights, sounds, tastes and other delights of the world in a little more style and comfort. You won’t find much information on backpacker establishments or party venues, but rather a more upmarket range of experiences, establishments and travel products that would Read More appeal to a more “grown-up” traveller, most likely 35 and older. Travel Writer. Beauty Seeker. Earth Advocate. A Proudly African and Conscious Traveller. Spicegoddess is a blog created by Verushka Ramasami , a lifestyle blogger based in the sunny city of Durban.Her blog is a reflection of all the things she loves which includes travel ,food, culture and all the other pretty things in between. Verushka shares her recipes that she creates in her own kitchen on the blog and each recipe has a fusion take on it.This Spice Goddess is indeed a Domestic Read More Goddess who loves sharing her world with the world. We are South Africa’s largest online market guide. We help market visitors to find great food, farmer and craft markets nearby and shine a spotlight on local makers, crafters, brewers, growers and bakers. Gotravelbug is a road tripper of the “roads less traveled”, the “off the beaten track wanderer” and the “paths less come” by explorer. Come with me to discover places forgotten, the secrets of Southern Africa on foot, horseback, Bicycle or a small Opel Corsa that pretends to be a 4 x 4. Armed with a camera, a backpack and quizy mind I will uncover culture, history, food, and other interesting Read More facts of this extremely diverse country. An Eastern Cape based blogger writing about all things travel – local and international – with a passion for slow travel, small towns, coffee, road trips and responsible/ethical/sustainable tourism with a hint of humour and a dash of sarcasm. 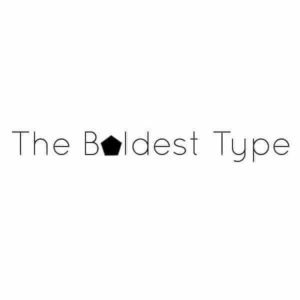 A blog dedicated to sharing lifestyle trends and content to inspire women. My lifestyle blog focuses on food and wine, fashion (for curvy women) and body positivity. Created out of laughter and continued with love. Spiced Weasel is about enjoying the moments and finding new places to see, taste and feel. There is no niche market, we blog what we feel and what we want to blog about. This is an account of where we have been and what we thought along the way, we would like to invite you along with us, comment, tweet, interact with us let us know your thoughts Read More and opinions, or if you have found a hidden gem you’d like to share. My YouTube channel covers all of my passions, like style, veganism, mental health issues, and expressing creativity. It’s my space on the internet where I share my adventures around the world plus opinions on what it means to be a woman in the 21st Century. Join me as I discover the world around me and myself in the process! Spark of Blue is basically a travel blog. I write about the road trips my family and I take around South Africa, primarily in the Western Cape. There is also a some other stuff like cooking and photography I write about, but in general it is about our travels. Informing the average South African about how dream holidays abroad can be made possible with practical tips and advice. Know Any Amazing Travel Blogs or Influencers? 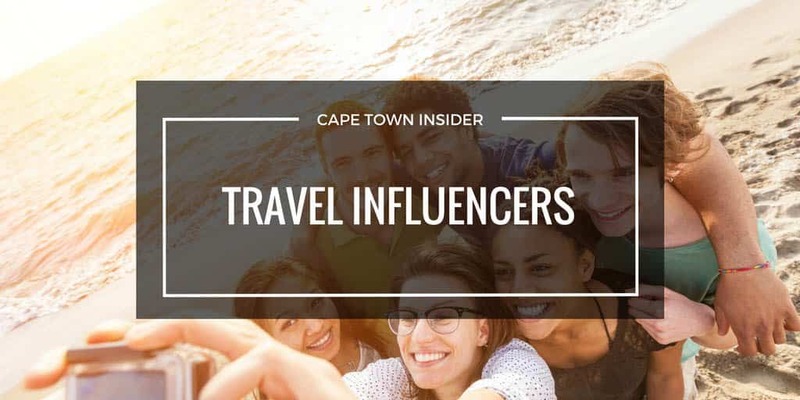 Do you know a travel influencer/blogger that should be listed here?